Added new “User” menu for better organization. The “Account Type” and “Default Exposure” fields in “View User Details” now show actual descriptive values instead of the API’s internal numerical codes. “List User’s Pastes”, “List Trending Pastes”, and “List Recent Pastes” now allow rows to be double-clicked to view them. 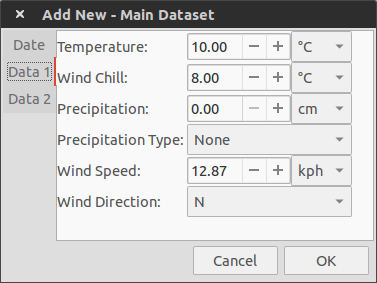 Added three new data fields: “Wind Chill”, “Visibility”, and “Cloud Type”. Added new interface for Add New and Edit windows (see end of post for images). 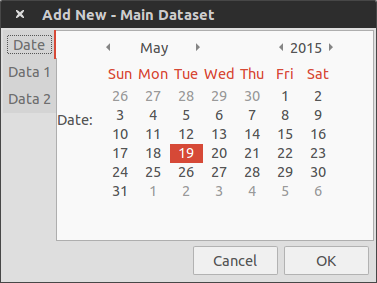 The new windows are split into multiple sections to organize the fields better and make entering data clearer. In addition, it’s now possible to specify the units to use for each individual field. The slightly-buggy and rather unintuitive field conditional disabling system has also been removed for both Add New and Edit. 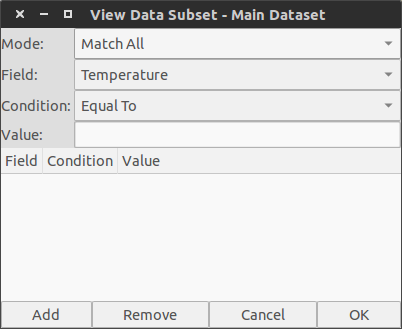 Added new interface for Data Subsets (see end of post for images). 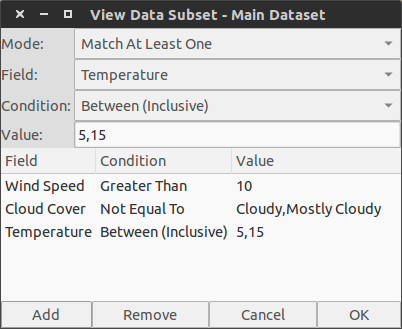 The “simple” and “advanced” windows were streamlined into one, and the previous checkbox-based system was changed to a listbox to make it easier to add, remove, and view conditions. 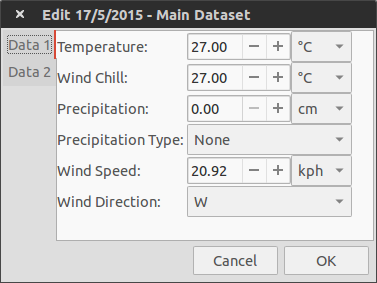 Added Wind Chill, Visibility, and Cloud Type graphs, info screens, and charts. Renamed “Manual Save” to “Save Data”. Changed the Export to Pastebin feature to use a window instead of a menu, and added the ability for users to specify the paste title. Removed “Reload Current” as it has not been necessary for quite a while now. Major refactoring of some internal modules. Mostly splitting up some files (utility_functions.py in particular) into smaller ones. Some files were also renamed to be more consistent.